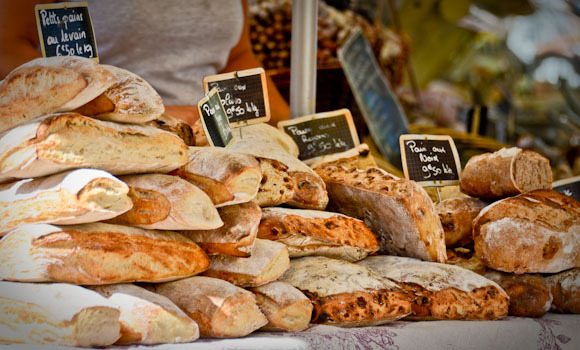 They say that French cuisine and baked goods are inseparable from the ingredients grown there, that the quality of the food is due in part to the local culture from farm to table. In music, there is something similar in Austria known as the Viennese sound. It is a unique sound that is also considered inseparable to the culture. In fact, there are instruments named Viennese because they are actually constructed to produce tones in keeping with Viennese sound. So what is that sound? After visiting Vienna briefly, you gain somewhat of an understanding but it takes the experience to fully comprehend. To me, Viennese sound is shapely, rounded, curvy, sensual and yet subdued. Voices are distinct but still blend. It’s not a matter of becoming homogeneous but rather retain independence. As conductor Zubin Mehta stated “it’s not only the sound but relaxed rhythm, it’s organized sloppiness. And that’s not a critique. That’s something that other people can’t do. In general, they never make an ugly sound.” Tonally, it can be soft and round or bold and strident but not confrontational. Italian pianist Carlo Grante says Viennese orchestras are “never too present and contain nuanced sound and articulation”. Ready to hear the difference? Put together by the University of Performing Arts Vienna, this website contains clips comparing orchestral sound. Although it is in German, you can right-click translate to English. Regardless, it’s fairly straightforward; There are simply 2 categories, 1 that is from “Wiener” or Vienna and the other, from another orchestra to compare. Simply click on the speaker icon to play both samples. See if you can hear the difference. I rather enjoyed listening to the contrast of these excerpts. It gives you a bit better understanding of what is trying to be achieved both by the performer and the instrumentation pertaining to the Viennese tradition. With this backdrop in mind, I would like to turn our attention to pianos and how this relates. A few months back I spoke with Ferdinand Braeu from Bösendorfer in Austria, Vienna. We discussed the newly designed Vienna Concert (VC) models that were debuted in prototype form a few years ago at NAMM in California. This year, I had the wonderful opportunity to play the finished result. 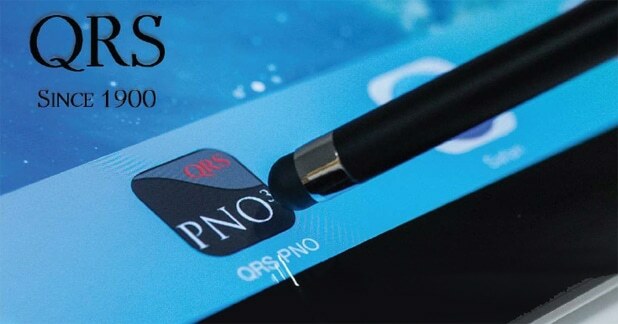 They are delightful – one of the few pianos that I have played that I could describe as smooth as glass. The sustain is incredible, especially at the top end (where most pianos sharply drop off). The touch is luxurious and the tonal palette incredibly wide. How does one achieve this sound in the newly designed VC pianos? I asked Ferdinand Braeu a few questions about it. Glen Barkman: It says on Bösendorfer.com that the new VC series “remains true to our sound philosophy.” What is your sound philosophy? Ferdinand Braeu: Our sound philosophy is based on Vienna’s tradition of piano building and the worldwide reputation of our music (e.g., the Vienna Philharmonic Orchestra). The term “Viennese sound” refers to tonal characteristics in local compositions typically using Viennese instruments or performed by Viennese orchestras. This unmistakable sound is reinforced by our cultural history as a center for musical innovation and expression, as well as the unique characteristics and development of instruments such as the Viennese horn and the Viennese oboe. Generally, the Viennese sound has developed based on a preference for a broad tonal spectrum encompassing easier playability and varied volumes without neglecting the richness of partial notes. The sound may convey darker moods while maintaining certain warmth embodied uniquely in our city. This combination cannot be found anywhere else in the musical world. Since 1971, our University of Music and Performing Arts has analyzed and studied the singularity of the Viennese Sound on a scientific basis. 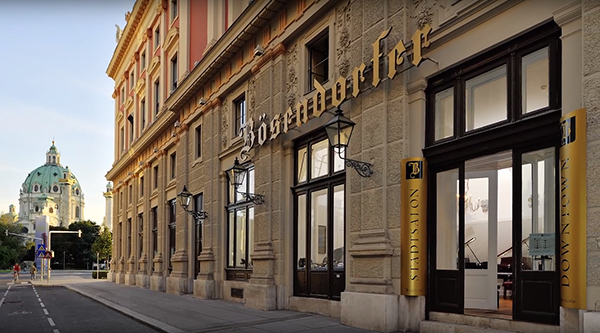 Bösendorfer instruments have contributed to the Viennese sound through the development of our pianos and the influence of our brand in our extraordinary active musical city. Bösendorfer pianos are known for the richness of their sound as well as the conveyance of varied moods and tonal warmth. For the past 190 years, Bösendorfer has remained loyal to the tradition of the Viennese sound unlike any other piano manufacturers in the world. 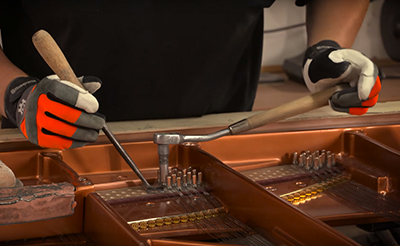 The resonance of our pianos supports our tonal tradition through expert craftsmanship. We also maximize the use of resonating spruce to achieve our Viennese sound. You started from scratch with this new Vienna Concert series – what does that mean? 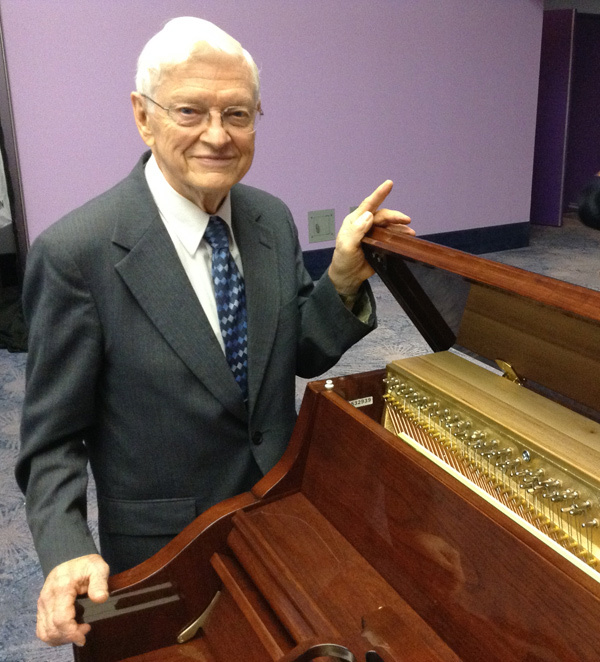 At the NAMM show, you had said that you started from the musicians and worked to forge this new piano. What feedback did you get and how did that shape the piano? Bösendorfer’s concert grand piano carries on the tradition and identity of the Viennese sound while simultaneously fulfilling all requirements for a modern, contemporary concert. Through basic research, conceptual specifications and experimentation with existing models, we realized our final product. All existing concessions of earlier concert grands were continuously called into question during our developmental project phases. We thought outside the box and analyzed the entire acoustic mechanism during the construction. We analyzed the string scaling including the string lengths and division. For instance, we examined the sonic identity based on three-course bass strings in a certain range, the displacement of several courses from the midrange to the bass and the transformation of tensile-force distribution of the bass, midrange and treble ranges. The greatest challenge lay in the development of the resonance case principle, crucial for the typical, richly vocal Bösendorfer tonal mood, because a maximum of resonance and the ability to project sound must be achieved. The acoustic construction represents the most important and decisive area for building an outstanding concert grand piano. This project’s success lived or died on optimizing the vibrational capacity and freedom of the soundboard. Merely reworking or correcting the construction was insufficient. 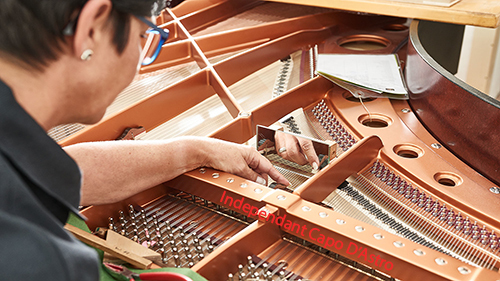 We, therefore, developed the grand piano’s construction to an entirely new and contemporary level. We used computer calculation models for the string scaling and structural analysis including three-dimensional CAD construction tools. We combined CNC-supported parts manufacturing with the abilities, knowledge and feel of our experienced artisans for sensitive materials. Before the prototype was manufactured from an entirely new construction concept, we performed extensive tests of the solutions we developed to determine whether they could achieve the desired effect or change. We tested and measured components such as the soundboard base, ribs and bridges with calculated pressure loads. 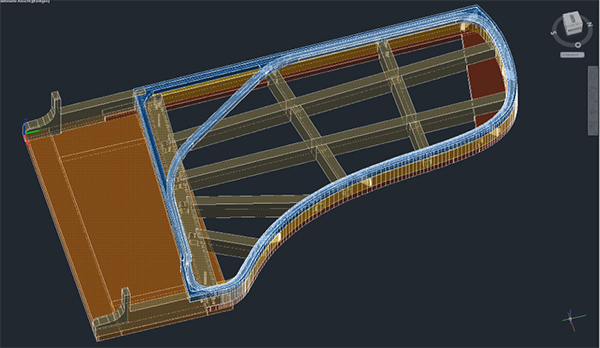 Moreover, we integrated as many parameters of the new design as possible into an existing concert grand. Parts of the subframe construction were milled, and a new soundboard base, including ribs and bridges, was inserted into the altered construction. These first concrete findings contributed to the detailed engineering of the component parts; moreover, they served as an initial evaluation of basic concepts. Subsequently, we composed the final design and the corresponding construction blueprints for the first two prototypes. What are the significant design features of the new model 280VC concert grand? We reworked and optimized all parameters of the string scaling including the length, size, tensile force, division, alignment and positioning of the individual sections, the selection of the 1-, 2- and 3-course bass strings, the proportion of the tensile-force load between the bass, midrange and treble ranges, and the strike lengths and strike line. Computer-aided design software helps to visualize, calculate and optimize all processes in terms of inharmonicity curves, load values and tensile-strength distribution. Thus, we maximized balance, stability, vibrational ability and oscillation period. In order to improve the sonic potential in the treble range, we tested variants in the first two prototypes, with and without a duplex system near the string attachment behind the bridge. The bell-like sonic component and the sonic, dynamic shaping potential favored the duplex version. Since the string scaling significantly determines the design of many parts, it was designed and adjusted based on its impact on many other components such as the subframe construction, cast-iron frame, keyboard and the shape of the case. 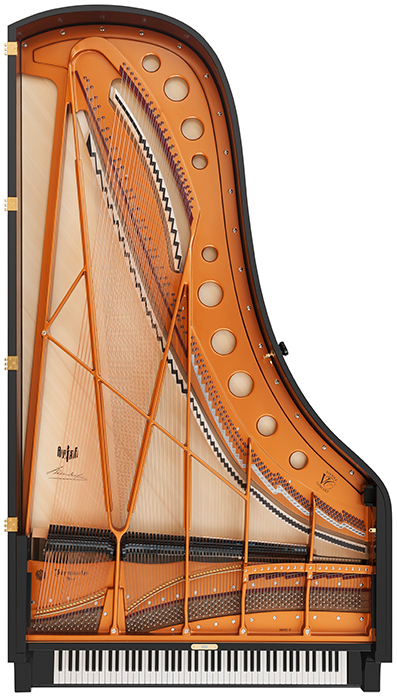 The 280VC’s case construction was made traditionally with Bösendorfer’s cross-beam construction including both solid spruce and beech. However, this case construction also contains several innovative elements only possible through modern technology. The three-dimensional construction method facilitates highly precise subsequent work on all wooden connections surrounding the case elements including case struts, the cross-block and the keybed. This method enables an enduringly stable and exceptionally solid foundation for connection of subsequent elements. For example, the bottom case was designed to form a closed unit. The case wall also traditionally consists of spruce tone-wood in its core. The double beech inside and out reinforces and stabilizes the case wall. The sonic qualities of spruce tone-wood as a core material remains entirely unaffected in this process. 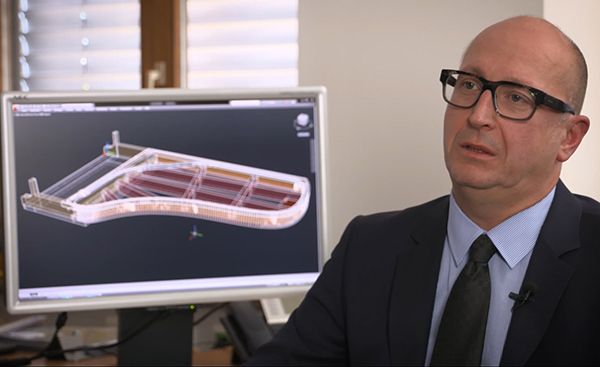 3D modelling – how did that help in the manufacturing process? Were you able to troubleshoot areas that you previously wouldn’t have recognized in advance? The three-dimensionally designed model is specially tailored to the shape of the piano. 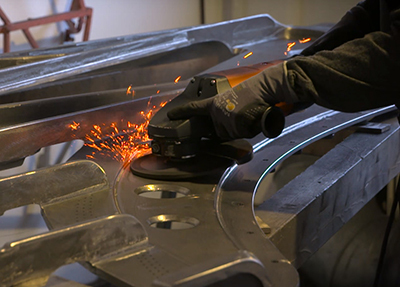 Like a curved ellipsoid segment, all parts of the acoustic enclosure are crafted with the greatest precision. 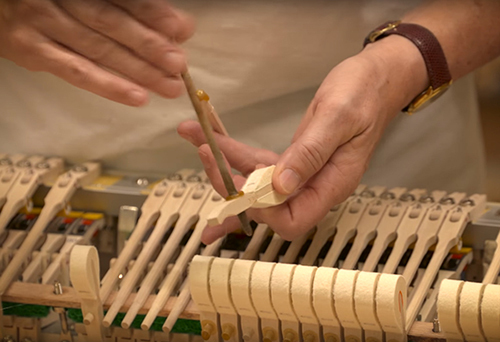 The number, placement, sizing and forming of the soundboard ribs are precisely calculated to the actual pressure ratios based on the technical considerations of the diapason. Through the precise constructive basis of the three-dimensional model and optimally aligned monitoring of the actual changes caused by the prevalent pressure ratios, we were able for the first time to trace the processes in the acoustic enclosure exactly and take the dimensions and regulation into consideration in the fine-tuning. Thus, the resonance characteristics, and the efficiency and general response of the soundboard, achieved the sound-emitting quality of a grand piano. The cast-iron frame was also designed as a three-dimensional model and drawn using CAD software to facilitate solid stability and statics. The height positions and unions of the various struts and bracing elements of the frame structure can thereby be optimally sized and positioned, achieving a maximum of stability with minimal mass. We manufactured the frame model for the sand molding ourselves based on a prototype from the foundry in Enns, Austria. At the same time, we prepared the cases and the soundboard ensembles. The cast-iron frame, case and pin block need to fit each other precisely, although these parts are manufactured entirely independently of one another. On your cabinet, the rim is a low tension kerfed design correct? What does that do for the rim in terms of sound? Is that different than previous designs? 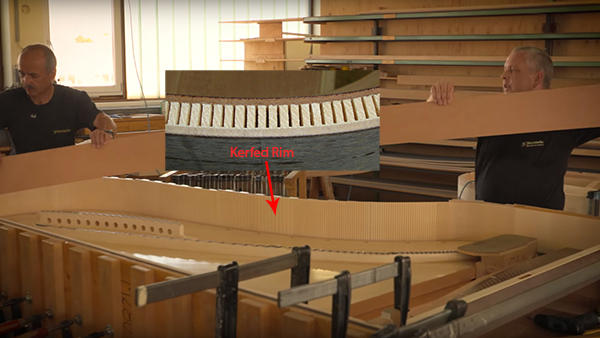 Every Bösendorfer grand piano as well as the VC line models have kerfed spruce core material within the outer rim. This core component is made of the same highest quality spruce as the soundboard. The core material, however, is reinforced by app. 4mm beechwood layers on both sides in order to obtain a stable and solid basis for the final outside finish. 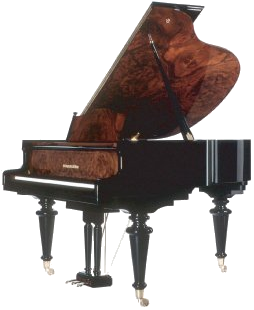 Thus Bösendorfer’s “resonance case” concept is achieved without any changes to previous designs. You use 80% spruce tone wood. What is the idea behind having so much tone wood in the piano? Since spruce provides unmatched acoustical qualities in terms of sonic conductivity and projection, while maintaining the same excellent static qualities with a light weight, it provides the ideal material for “resonance case.” However, the wood material must be handled carefully from harvesting to the first cut, with a seasoning period of three-to-five years (no kiln drying at all). The perfect grain structure and direction must be considered as well. 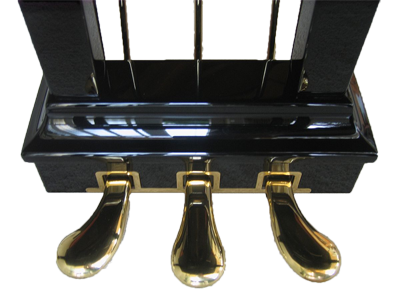 Bösendorfer has the only independent Capo d’Astro that I know of in modern piano manufacturing where the treble strings are secured by a top-down cast bar. Can you describe how these are adjusted or installed and what is the benefit of this piece being independent? The independent Capo d’Astro bar precisely fits the crowned plate structure caused by the cast-iron processing in terms of position, height and angle. The bar is cast with the knife edge downwards in order to get the most uniform and dense metal structure without too many air inclusions at the knife edge. As the bar is not yet connected with other parts of the plate, you can create a very uniform and selected density of the knife edge so it cools down uniformly after filling the fluent iron. The Capo d’Astro pieces also provide the most repair-friendly system as the bar can be dismantled for filing and refitting after many years of use and engraved string structure. The knife edge then acts as a very precise termination point for the strings. Having it removable allows for machining outside of the rest of the frame. This in turn allows for greater uniformity. Iron frames that ‘rest’ for 6 months. What does that do to the frame? What advantage is there in allowing the iron to cure? By seasoning the plates outside, you can reduce the material tension caused by the casting process. Potential cracking, as well as changes in measurement at/after drilling and machining, is significantly reduced. What’s the thought process behind the open pin block first of all and second, maple, beech and walnut – why the variety of wood? What is the purpose of each? The actual pin block material is made from quarter sawn maple. Three of these maple layers combined in different angled grain structures are encompassed in a basic board of laminated beech. This basic board is the foundation of the pin block assembly and connects with the rim and the front board made of solid beech. The most accurate fitting process guarantees the best tuning stability and durability. The open window plate design offers tuning pins a maximum of insertion depth within the pin block wood. The visible top edge of the pin block is equipped with a walnut veneer for an exclusive look. You make your own bass strings. What’s the secret to a great bass string? Is it technique? Is it alloys? Is it both? 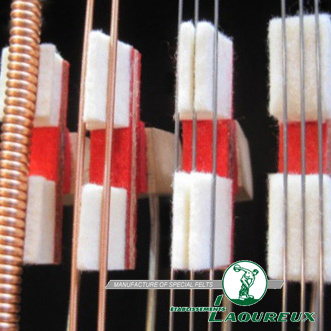 We prefer making our own bass strings through a proprietary method to create the best possible bass strings for the specific design of our pianos. The steel core and copper wires come from long-time, proven suppliers with a unique spinning technique. The beginning of the copper windings goes beyond simple winding as usually applied; rather, it uses a flatted underlayer of a few windings applied by hand, not visibly overlapped by the actual final copper windings. Individual, hand-tied strings. What does that do for structural integrity? The individual, hand-tied loop stringing provides the best tuning stability and durability possible. In case of string breakage only the respective string is affected, while the standard stringing method always affects two strings at the same time. Actions and hammer – I presume Renner and Weickert felt? And what does this combination achieve for the performer? Action components come from Renner exclusively; hammers are supplied by Renner as well as Abel as a second source for the highest quality hammers. We request natural wool felt from both suppliers. The selection of supplied materials as well as the perfect conception of the action geometry, and the precise assembling and regulation, offers the most accurate and consistent action touch as well as a maximum of regulation and voicing stability. In a nutshell then, what are the main differences between the original series and the new VC series? • Numerous design measures to facilitate stability and reliability in every sense. What are the benefits of the new Bösendorfer VC models? The new VC series contains the typical Bösendorfer sound character with improved tonal projection, dynamic range, tonal responsiveness and sustainability. This allows for extended musical repertoire such as Viennese classic, late Romantic repertoire from composers such as Rachmaninov or Liszt as well as contemporary, jazz and modern music. Applications include small venues, concert halls, and are ideal for piano concertos with orchestra. Eased access and acceptance for Bösendorfer instruments, even for pianists with little experience; and improved stability and reliability for professional use, frequent transportation to concert venues, rental instruments and institutions. 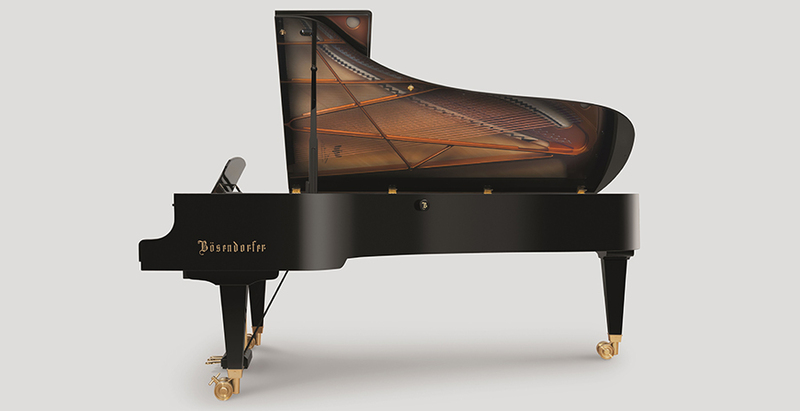 Thank you to Ferdinand Braeu for some greater insight around the new Bösendorfer designs. And while you can’t separate Viennese culture from Vienna, you can still have a Viennese piano and enjoy a taste of it with the new Vienna Concert series pianos. You can view all of the Bösendorfer models on Piano Price Point.